Great hunting with BB. Started in the East, and encountered big herds of elephant. Saw quite a few Tuskless, but mostly with small calves. 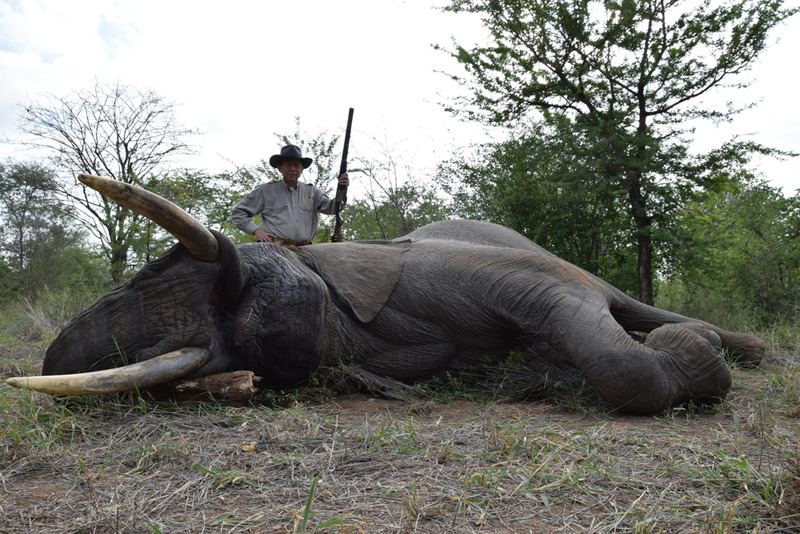 On day 3, BB managed to put a mature Tuskless down with a frontal brain shot. On day 4, we got called to do a PAC hippo that was living in Chakata village and had bitten a local man. 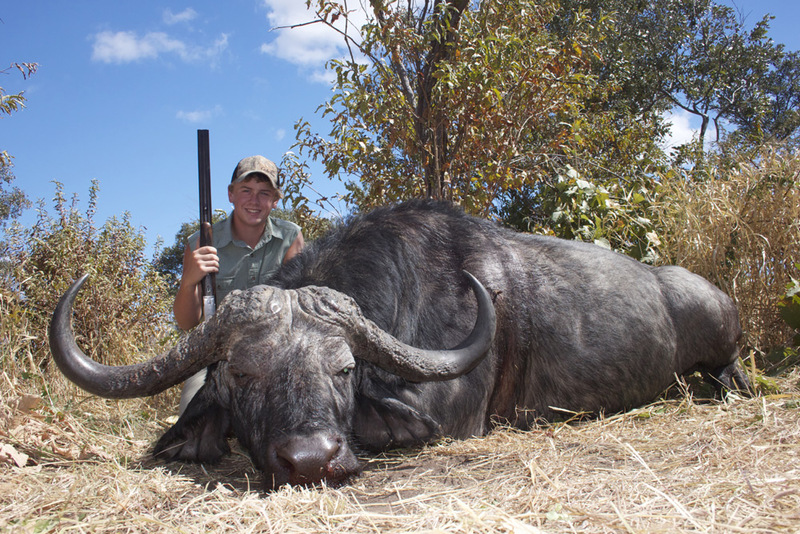 We found it and BB shot it, with a good brain shot and it turned out to be a magnificent bull with a deformed tusk. BB decided to take it as a trophy. We then moved over to Mururu camp in the North to hunt a ration, which we failed to do. Bush was so thick and most all mature cows have small calves this year. 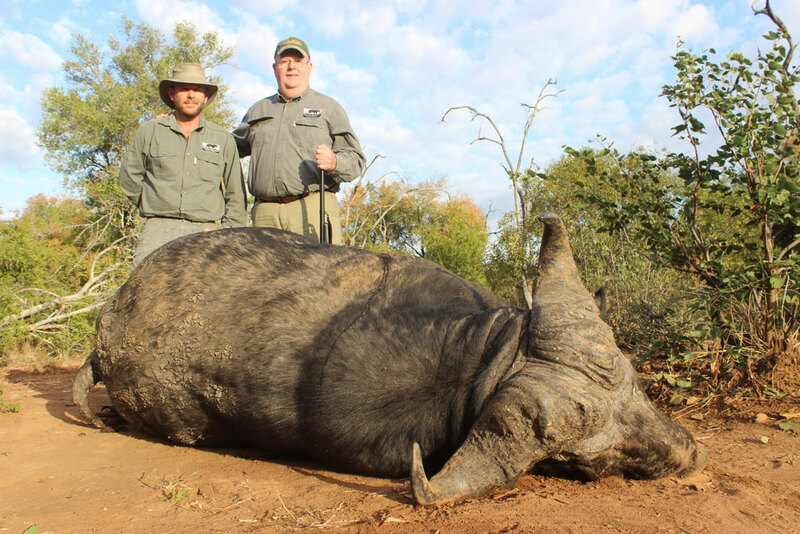 We hunted hard through and has some memorable experiences. Thank you BB. It was great to be back in Zim. Alan was the PH on my first safari. A true gentleman and ethical hunter. We saw many elephants in the East. Aside from the tuskless, the PAC hippo was very exciting. Many villagers were fed from the elephant and hippo. 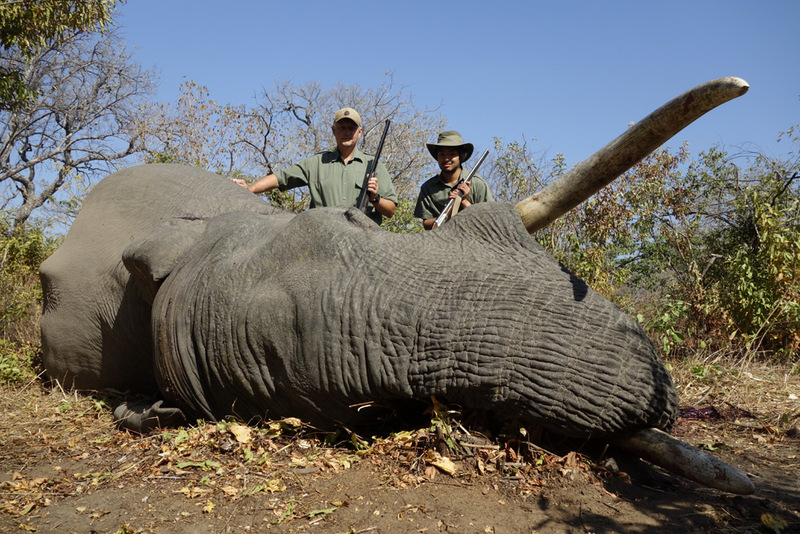 We then hunted hard sunrise to sundown for a ration elephant in DSA out of Mururu camp. A very nice and remote camp. The bush was thick and green due to late rains. Practically all cows seen had dependent calves. Good for the elephant population. I had a great time. All logistics were handled flawlessly by CMS.